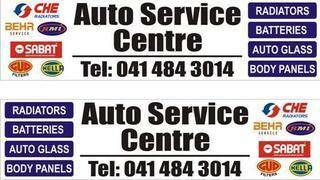 EP Auto Centre provides scheduled car maintenance. By making scheduled maintenance from EP’s part of your routine, you may avoid many costly repairs for your vehicle in the future. Auto Electrical Repairs and check-ups for your car’s starting and charging systems, and battery, help ensure reliable vehicle operation whenever you drive your car. At EP’s, we recommend you check these systems regularly for optimal vehicle performance. The typical spark plug consists of an outer shell, a connecting terminal, a core, a seat area, a center electrode, and one or more ground electrodes. Spark plugs used steel/nickel electrodes traditionally, but newer plug designs use electrodes made of precious metals such as platinum or even gold/palladium alloy. These types of electrode materials are much less susceptible to erosion, provide longer life and tend to resist fouling better than their predecessors. Most engines use one spark plug per cylinder, although some engines use two. Spark plugs come in different configurations, such as different threads, seats, “reach lengths”, and heat ranges. The spark plug ignites the air/fuel mixture inside the cylinder. This occurs when high voltage, triggered at precisely the right instant, bridges the gap between the center and the ground electrodes. The end result is an even burning of the air/fuel mixture inside the cylinder. The spark plug also provides a secondary purpose of helping to channel some heat away from the cylinder. Typical replacement intervals range between 30,000 and 100,000 miles, depending on the vehicle and the type of spark plug. Always consult your owner’s manual for your specific vehicle. Symptoms of one or more faulty spark plugs include poor gas mileage, a failed emissions test, and rough running/poor acceleration with the engine under load. A bad spark plug can cause engine misfire, triggering the SERVICE ENGINE SOON or CHECK ENGINE light to appear. If this is the case, it’s best to have the cause checked out immediately by a professional technician. This is especially true if the SERVICE ENGINE SOON or CHECK ENGINE light flashes rather than staying steadily lit. Neglecting these warning signs can cause expensive damage to the catalytic converter, requiring replacement. Always use the correct spark plugs for your vehicle, following the exact recommendations of the spark plug manufacturer for your specific engine and vehicle. Spark plugs should be installed per the manufacturer’s recommendations, ensuring the electrodes are gapped properly and tightened sufficiently into the cylinder head. 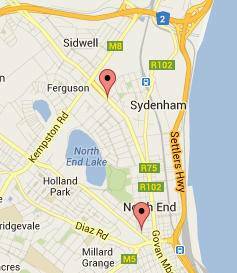 EP Radiators is the direct agent for Sabat in Port Elizabeth.We stock all size batteries. A car's engine generates enough heat to destroy itself. The cooling system, however, protects against damage by keeping the engine within the correct operating temperature range. That's why preventative cooling system maintenance is essential in helping to ensure your engine's life.